I am offering ancestral, present life, birth experiences, womb experiences, emotions, teaching videos for purchase. I also offer an ancestral healing email or video reading at €30. It is a shorter reading than the in-depth reading and uses just the ancestral healing deck. Payable through PayPal link https://www.paypal.me/angelsloveandlight or ask me for an invoice to pay with your credit/debit card to marylindaliz@gmail.com Thank you. For longer email and video readings incorporating the ancestral path the charge is the same as the general and twin flame readings - €50 (10% discount for returning clients). If you would like a one to one personal ancestral healing session we can arrange that too. It will include cards being chosen, applying them to your life and your family's life and a meditation if you are comfortable with that. 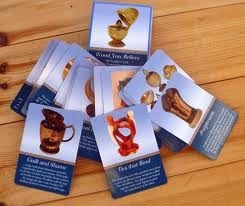 If the meditation doesn't appeal to you, we will use other decks of cards to bring extra information to you. The charge will be €50 (10% discount to returning clients). Thank you.